(2017). Investigation of the Tearing Performance of Fabrics with Various Constructions, Woven from Different Yarn Spinning Systems. Journal of Textiles and Polymers, 5(2), 22-28.
. "Investigation of the Tearing Performance of Fabrics with Various Constructions, Woven from Different Yarn Spinning Systems". Journal of Textiles and Polymers, 5, 2, 2017, 22-28. (2017). 'Investigation of the Tearing Performance of Fabrics with Various Constructions, Woven from Different Yarn Spinning Systems', Journal of Textiles and Polymers, 5(2), pp. 22-28. Investigation of the Tearing Performance of Fabrics with Various Constructions, Woven from Different Yarn Spinning Systems. 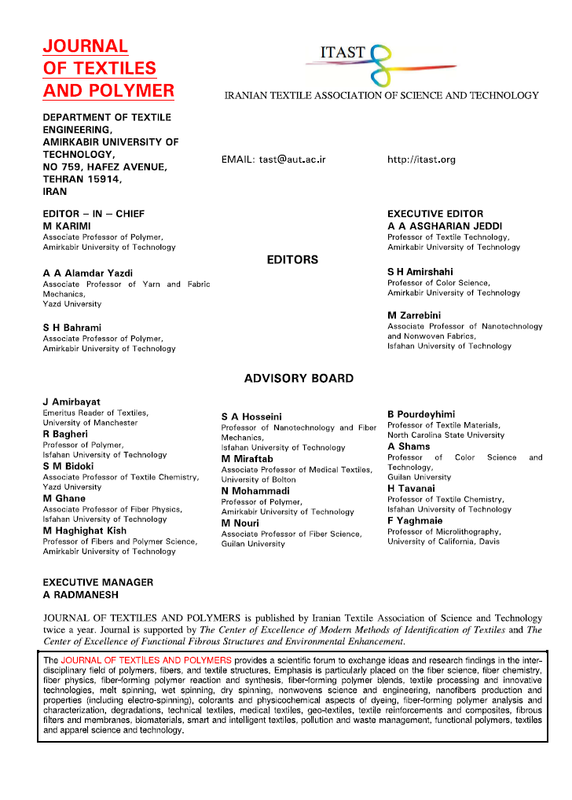 Journal of Textiles and Polymers, 2017; 5(2): 22-28.